Pitbull Plans to make his Vegas Residency Permanent. Mr. 305 is taking over the 702 with his seven-date Sin City residency that launches September 23rd. 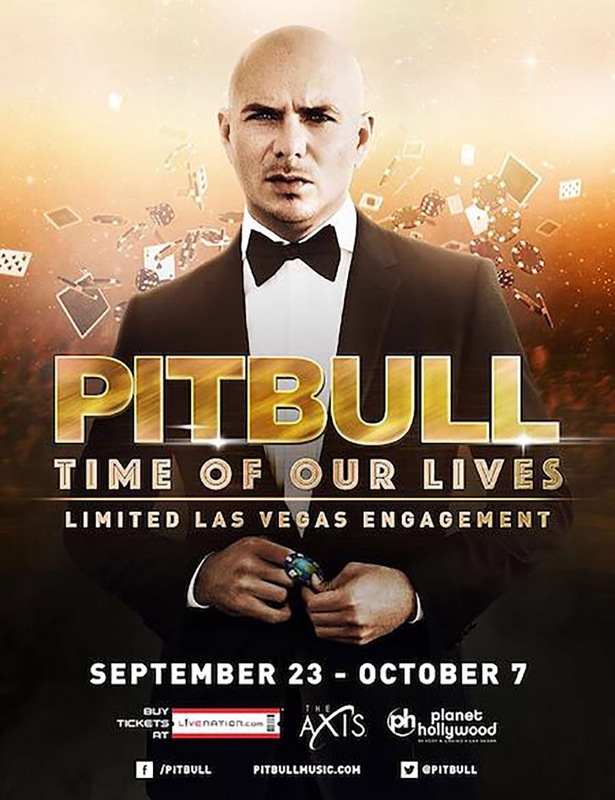 Pit’s Time of Our Lives limited-time engagement will take place at Planet Hollywood Resort’s theater, The Axis, from September 23rd through October 7th with tickets ranging from $36 to $169 (without fees). This morning, September 10th, Pitbull talked with Ryan Seacrest on his radio show, On Air with Ryan and revealed that he is planning on making his stay in Vegas permanent. “When everything went down in the Revolutionary War in Cuba, basically the mob and everybody went to Vegas. So for me, it’s not only an honor like I said before, but it’s also deeply-rooted. So we’re going to take it from a temporary residency to a permanent residency!” said Armando on his Vegas shows. For more information on his Sin City takeover, click here. In the interview he also mentioned his guest appearance on FOX’s hit TV-show, Empire. Pit will be playing himself and he will perform the song, “No Doubt About It” with Jussie Smollett who plays Jamal Lyon, the new head Empire Records. At the beginning of the interview he also said that he was about to go into a meeting for his World Tour next year! For more information on his guest appearance on Empire click here and here. Listen to the full interview Perez did on On Air With Ryan here. Previous Previous post: “La Gozadera (Pitbull Remix)” Preview – Exclusive. Next Next post: New Music: Dougie F ft. Pitbull – On Purpose – Mr. Worldwide Mix. Pitbull Updates – A Pitbull Fan Website Pitbull Plans to make his Vegas Residency Permanent.